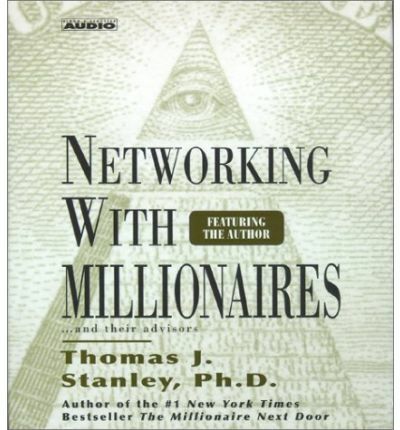 In "The Millionaire Next Door, " Tom Stanely identified the millionaires around you. "In the Millionaire Mind, " he told you how they think. Now, he tells you how to get their business. NETWORKING WITH MILLIONAIRES The affluent market segment is growing seven times faster than the household population in this country. Dollar for dollar the most productive way to penitrate the affluent market is to network with its members, their advisors, and the key members of their important affinity groups "DR. STANLEY IMPARTS HIS EXTENSIVE KNOWLEDGE BY EXAMPLE: "Learn how to attract hundreds of affluent business owners as clients and never make a sales callLearn how top producing marketers generate business by employing eight key networking themes.Learn how to personaly access the top business owners in your community. Networking is the essence of high performance marketing. It is professional selling at its highest form. Networking is about influencing the influential. About the Author: Thomas J. Stanely, Ph. D., is an author, lecturer and researcher who has studied the affluent since 1973. Dr. Stanley has written several bestselling books including The Millionaire Next Door and the Millionaire Mind. Dr. Stanely holds a doctorate in business administration from the University of Georgia in Athens and was formerly a professor of marketing at Georgia State University where he was named Omieron Delta Kappa Outstanding Professor. he lives in Atlanta, Georgia.